Years ago when I was a young journalist, my editor put me on The Love Story beat. It’s easier to write about other people than yourself. Other people hold value. You know your own value is not much until you make it so. My job was to interview people about how they fell in love then churn out sentimental stories their friends and relatives could laminate and stick on their refrigerators. “Happy crap,” my editor, a displaced New Yorker with owl glasses and a bowl cut, called it. One pair of blind professional bowlers aside, most of the interviews I did were forgettable. Except one – a sweet old couple married over 50 years. He was a World War II veteran. She stayed home, raised their kids and volunteered at the church bingo. These were Norman Rockwell’s people. The couple invited me to their house. They were sweet and funny, open and kind. Their house was full of family photos and antiques, afghans and doilies. The man swore and his wife said, “Lord, this man.” They gave me tea. They gave me sugar cookies from a fancy tin. I went back and wrote the story. My editor ran a big picture of the two of them holding hands. I felt good about it. I didn’t know dust meant anything. But maybe I didn’t have to mention it. I believe Bei Dao. I believe Bechdel and Faulkner. But how, as a writer who deals in true stories, should I navigate that? Three memoirs in, I still don’t know. In 2004, I started an adoption search. My daughter was born with a birth defect I’d been born with and I realized, with the startling clarity that comes with any emergency, that I had no medical history to offer my children. I was also grieving. My mother died less than a year before, my father five years before that. Through my search, I was trying to get more than a medical history. I was trying to replace the parents I lost, trying to find a way around grief. It’s as irrational as it sounds. I was navigating by desperation. I was navigating by hope. I never got the medical history I hoped for. My dead parents stayed dead and the emptiness never changed. My experience with my birth mother was not a happy reunion. Still, I connected with members of my birth family and became close to one of my brothers. There’s more to the story — which I detail in my third memoir Belief Is Its Own Kind of Truth, Maybe – but those facts are a start. At the time we met, my brother knew I was a writer. He’d read my first book and then my second. He liked the books and passed them to friends and relatives as evidence of something. That I wasn’t a crackhead, maybe. That books made me respectable, like a coffee table. That a writer was someone who could be trusted. “It wasn’t like you were just some nutball off the street,” he said. Everyone is impressed that we write until we write about them. “A man must live according to his nature,” Thoreau said. To know your own true nature, to accept that, is a good and terrible thing. Serial killers do it I guess. So do writers. I knew even then I would write about it. I don’t think it would have been possible for me not to do so. I write when I’m confused, when I’d like the world to line up. I write to discover my place. I write to connect with other people who might be confused and lost like me. In doing this I write about people I know. Maybe at some point, drunk or sad, I promised my brother something else. I don’t remember it that way, but he does. I finished the manuscript that became a book 10 years after my brother and I first met. It took me that long to find a shape for my story, to figure out what my adoption search might mean and why I hoped other people might care about it. In 2014, after I’d gotten a contract for my book, I started talking with my brother about it. His response, over and over, was the same. He said he didn’t need to read it. “Do what makes you you,” he said. He said, “Go Steelers!” his way to get around talking about anything else. I wanted to believe it would be that simple. When my book came out in August, I gave my brother a copy and asked him again to read it. I asked for forgiveness, and this time I said it. There was, I knew, no taking anything back. I didn’t want to take anything back. I wanted my brother to understand that silence wasn’t an option. I wanted him to understand that I needed – for reasons I didn’t understand until I did — to write this book. An adopted person is always someone else’s secret. I say that in my memoir. I was tired of secrets. He didn’t understand why I’d reveal secrets, even ones that, to me, weren’t secrets but facts I’d taken from my own redacted adoption records. Adoptees’ records are called Non-Identifying Reports. He wanted to know why I wrote about things I wasn’t entitled to write about. What stories am I entitled to tell and what stories are off limits? What story do I, as a person without a legitimate history, have a right to tell? If there is dust in a house, does a writer mention the dust or not? It depends on whether the dust matters and how much. It depends on what dust has to do with a bigger truth. The truth always hurts someone. My brother didn’t understand why I’d reveal family secrets, but for me, the word family is loaded. If I were to draw a line around family, it would circle my husband, my children, my dead parents, and me. When I say my friends are family, I believe that in spirit, but it’s not true. When I say my brother is family, I believe that in spirit, but it’s not true. We were not raised together. We don’t have the same loyalties, the same secrets. His mother is not my mother. His mother wishes she would have aborted me, wishes I were not alive, her words, in message after message. When my brother said, “We’re family,” there was a subtext of omerta. To get in, I must shut up. My brother’s family’s secrets must become my secrets, even secrets about me. “Go Steelers,” my brother would say. I hope family will never come to mean silence for me. But already when my son or daughter remembers something that doesn’t match my memory of it, I find myself correcting things. “It wasn’t like that,” I say. I take only what I need. This is what I believe so I can do what I do. Did I need to mention dust in that love story years ago? Did I need to tell the truth about my adoption story? My brother and I haven’t spoken lately. It’s something I’m learning to accept. Lori Jakiela is the author of the memoirs Belief Is Its Own Kind of Truth, Maybe (Atticus Books), Miss New York Has Everything (Hatchette) and The Bridge to Take When Things Get Serious (C&R Press), as well as the poetry collection Spot the Terrorist (Turning Point). Her work has been published in The New York Times, The Washington Post, The Pittsburgh Post-Gazette, The Rumpus, Brevity and more. Her essays have been nominated for The Pushcart Prize, and she received the 2015 City of Asylum Pittsburgh Prize, which sent her to Brussels, Belgium on a month-long writing residency. She has also received a Golden Quill Award from the Press Club of Western Pennsylvania, was a working-scholar at The Bread Loaf Writers Conference, and was the winner of the first-ever Pittsburgh Literary Death Match. She lives in Pittsburgh with her husband, the writer Dave Newman, and their children. 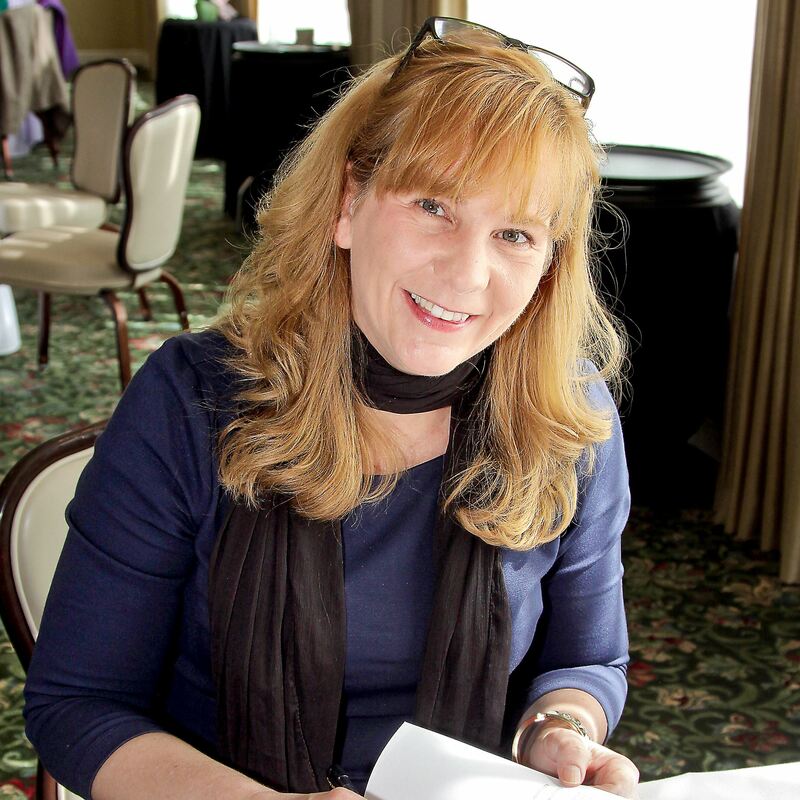 A former flight attendant and journalist, she teaches in the writing programs at The University of Pittsburgh-Greensburg and Chatham University, and is a co-director of Chautauqua Institution’s Summer Writing Festival. For many years I taught “You’ll Love the Way We Fly” to high school juniors. That is, I gave it to them to read and write about. And then we talked. I eagerly read your memoir, and if I were teaching memoir to adults, I think I would teach it for the same reason I taught that earlier flash piece. You understand the pain of witness, the paradox of cruelty and competence and compassion. Thank you. It is not only adopted families struggling to find connection. Thank you, Jan. This means a lot to me. Connection. Yes. Thank you! “What stories am I entitled to tell and what stories are off limits? What story do I, as a person without a legitimate history, have a right to tell? If there’s anyone who really challenges people to get to truth, it’s you. “If there is dust in a house, does a writer mention the dust or not? I have so many stories to tell, and the ones I’ve told have been done tactfully with regard to other people’s feelings. Many times, though, I’ve stopped my best stories dead in their tracks for fear of offending or hurting those who were involved. I think your article is very helpful. And very real. I think it was a passive/aggressive thing to do. Surely you had picked up on her probable sensitive personality and knew when you wrote that, that it would hurt her. It was just a little feature story that would mean nothing the next day, but to her, it wounded her egregiously and she felt it affected her once-secure and esteemed place in the community.A dusty house implies laziness and a disregard for the welfare on one’s family. No woman wants it exposed publicly if she has a dusty house, even highfalutin journalists like yourself. I hope you wish in the night time that you had removed it. I hope you feel remorse when you inventory your transgressions. You did write about it down the road…..Now if it had been germane to a hard-news story, fire away at whatever is true and let the chips fall. That is the difference in hurting someone and in telling the truth. How often the truth is in the details. Sometimes, I wish I were brave enough to write about the dust in places my friends and family would see it. But I’m not. I’ve been told so often that my memories are wrong, that my feelings are wrong, that in order to preserve myself and the relationships I need to hold on to, I write about the dust quietly, in my own little corner of the internet, under a nice pseudonym. Thank you for sharing. As a reunited adoptee I relate to all of it. Every speck of dust. Wow. That is a powerful piece. It’s also something I’ve been thinking a lot about recently. I write a very personal blog, but I have also skirted around some of the stories that belong not just to me, but to other people. I’m sure how they remember it and how they experienced it was different to my version, heck my own perspective on hinges has changed over time. Just this morning I wrote a piece about my relationship with my ex husband while our daughter was terminally I’ll. I hovered over the publish button but just couldn’t bring myself to do it. Your courage in writing what you know to be true for you is admirable. I hate when I press the comment button right before I notice my autocorrect fails! things, not hinges! Reblogged this on Lori Jakiela. The book I’ve begun writing that deals with finding my birth family in my mid-fifties contains truths that may be hurtful. They practiced omerta, but when I found them, their secrets were revealed. I’ve been writing about them for eleven years, and we’re still talking. I wonder if that will be the case when I complete my memoir “What Took You So Long?”. Writing memoir requires talent, tact, and common sense. If something doesn’t feel right, I won’t include it. But each writer must decide what to write, and readers will make their own decisions. Yes, it’s much easier to write about other people, as I’ve done for years, but writing my own stories brings me great joy. This is a beautiful yet painful look at writing what you know, even if that knowledge hurts some and makes others laugh. I challenge your critics to make one statement they consider to be true that does not hurt some, and cause others to smile. What makes “Ode to a Grecian Urn” more valuable than a human being? The first article I ever published was about something that happened in my family about which there is a cone of silence. Especially, don’t mention in front of our mother. When I found out it would be published I was first elated, then terrified; if one of my sisters knew I’d aired this story she would, probably quite literally, kill me. The magazine in which it was published wasn’t distributed in her state back then, and wasn’t one she’d read anyway. I just had to hope no one mentioned it to her. At our Dad’s funeral two women who’d been at school with my sister said they’d read my story and enjoyed it. I almost crash-tackled them on the spot to make them stop speaking. “Please don’t mention this to C; she’ll kill me,” I said. But it was a story I had to tell and another of my sisters helped me with it by providing memories. It was therapeutic for both of us but risky. “Never write about family or friends” was the advice I received from a university tutor, but sometimes you have to. Excellent story. It’s the dust that makes memoirs worth reading. Wow, I love this and I needed this today. I have a friend who was devastated by something I wrote and couldn’t read past a few paragraphs. It was overall a positive essay, but I hurt her. I try so hard to be ethical about what I share. Wonderful essay. You are currently reading There is No Dust in My House: On Writing About Myself and Other People at BREVITY's Nonfiction Blog.